Satellite feeders into the forthcoming €1 million guaranteed German Poker Championship are costing Party Poker more than $2,000 in overlays every day. If you like qualifying for live poker events online – and you have an eye for value – you should head over to Party Poker. 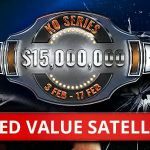 The site is currently running a series of satellite feeders into the €1 million guaranteed German Poker Championships with multiple entry points that guarantee a minimum number of seats into the next stage. 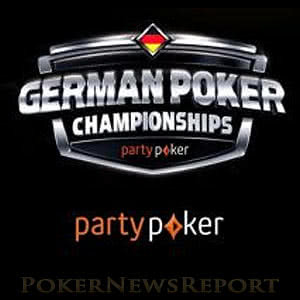 Whether it is due to the timing of the German Poker Championship and its proximity to more valuable Party Poker sponsored events in Russia (September) and the Caribbean (November), or whether players are taking August off to have a post-WSOP break, the satellite feeders are failing to attract the entries needed to meet their guarantees and are costing Party Poker more than $2,000 in overlays every day. The German Poker Championship actually takes place in the Czech Republic, at the Kings Casino in Rozvadov from August 6 to August 14. It is a phased tournament that players can buy into directly at the casino for €220 (Phase 1) or €2,200 (Phase 2), or play online prior to the live stages for $250 (Phase 1) or $2,500 (Phase 2). In Phase 1 of the event, players have a starting stack of 100,000 chips. When played live at the casino, the game continues until 10% of the entries remain. When played online, the game continues for twenty-one 6-minute levels, with all surviving players carrying forward their chip stacks into Phase 2. Players who buy directly into Phase 2 (confusingly called “Day 1” on the Casino and Party Poker websites) will have a starting stack of 1 million chips. Play on “Day 1” continues for eight levels of 60 minutes (live) or 30 minutes (online). The survivors from both the live and the online Day 1s combine on Day 2 to continue the event live in the casino. Online Phase 1s are already being played on Party Poker each evening at 8:00pm (BST). Players who survive the twenty-one levels can either play Phase 2 (“Day 1”) at the casino from Thursday August 10 or online on Sunday August 6. The survivors from the online “Day 1” will have five days to get themselves over to the Czech Republic to play in Day 2 of Phase 2 on Saturday August 12. 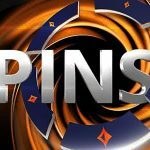 Online feeder satellites into Phase 1 of the German Poker Championship have buy-in price points of $2.20, $11.00 and $55.00. Depending on the time of day each is played, they guarantee a variable number of seats into the next stage. For example, the $2.20 buy-in 6-Max hyper-turbo “Mini Feeders” at 3:00pm and 5:00pm (all times BST) guarantee one hundred seats into the $11.00 “Feeders”, whereas the “Mini Feeders” played at 3:30pm and 5:30pm only guarantee ten seats to the next stage. Typically the “Mini Feeders” fail to attract many more than 400 entries – resulting in a $300 overlay in each. The $11.00 “Feeders” guaranteeing seats into the $55.00 “Championship Satellites” are also constantly undersubscribed, but the majority of the value can be found in the Champion Satellite themselves – particularly those guaranteeing ten Phase 1 seats at 8:00pm (6-Max) and 10:00pm (8-Max). These satellites have been attracting fields of around thirty players – resulting in an overlay of $550 in each event. When added to the $600+ overlays in the “Mini Feeders” and a couple of hundred dollars overlay in each “Feeder”, there is more than $2,000 in overlays every day at Party Poker. This situation may not continue as the final stages of the German Poker Championship approach, but it is worth checking out if you intend playing in the target event. It is not just the satellite feeders into the German Poker Championship that are overlaying at Party Poker. 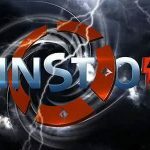 Back in May we reported on how Party Poker´s PowerFest tournaments were failing to hit their guarantees, and the generosity of the site appears to be continuing. Last night, for example, the site´s $5.50 buy-in “Jab”, $22.00 buy-in Progressive KO and $109.00 buy-in “Uppercut” events all overlaid, as did the $530 buy-in High Roller event. In addition, scores of satellites into the site´s most valuable events were undersubscribed, adding further value for the players who qualified through them. 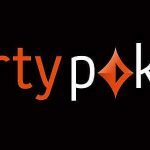 If you would like a share of the value currently available in Party Poker tournaments, visit the site today. First time depositors can take advantage of a 100% bonus on deposits up to $500 when using the Party Poker bonus code “PNREPORT” , plus get weekly cashback of up to 40% on their online action and additional cash bonuses through the site´s “Get Started Missions”.